This has been another big week for Bitcoin SV as we see even more growth and expansion due to the lifting of the OP_RETURN data size limit. 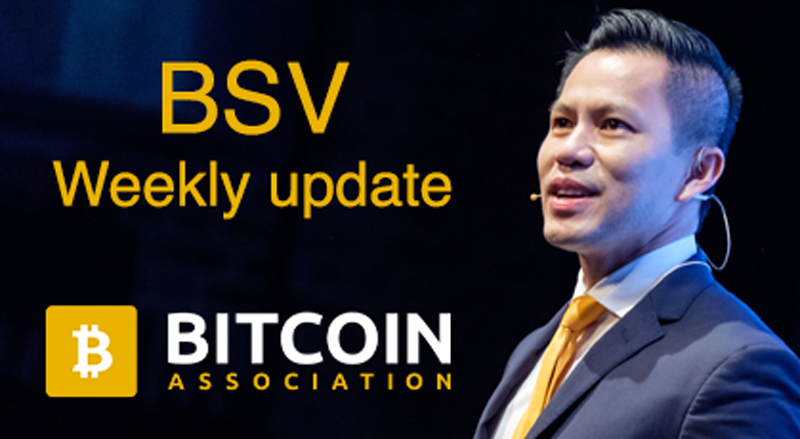 In this update, we will look at the latest scaling news, more exchanges that have added BSV, and amazing new services available on Bitcoin SV. The Bitcoin SV blockchain recently passed a milestone on its mainnet with 5 continuous days (and counting) of daily average block sizes exceeding the BTC chain’s 1MB block (and far exceeding the Bitcoin Cash chain’s daily average of less than 100KB blocks). Whilst the volume of individual BSV transactions is growing progressively, the size of individual transactions is growing rapidly as users discover more useful ways to make use of the larger OP_RETURN data limits – such as to upload high-resolution pictures and music files. Equicex Exchange recently listed Bitcoin SV for trading among over 300 cryptocurrencies and over 30.000 trading pairs. 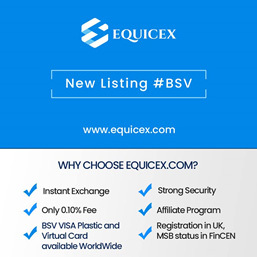 Equicex Visa Plastic and Virtual prepaid cards are also available for use with BSV. Users can link to their Equicex Visa payment card to convert and spend BSV. Cryptofacil offers customers in Latin America and the Caribbean a reliable, fast and secure platform to trade cryptocurrencies, and has four BSV pairs on offer. As reported by Coingeek, the company stated that “BSV is a top 15 token as far as market cap and has a large community that supports its vision and technology”. Intercontinental Exchange (ICE), the company behind NASDAQ, has announced that it will roll out its cryptocurrency data feed with Bitcoin SV as one of 60+ covered digital assets. The real-time feed by ICE will provide access to a wide range of data that is gathered from more than 600 leading venues, markets and exchanges across the world and aims to deliver real-time and historical data. The goal is to boost transparency in the crypto market. There is already now a “Bottle for Chrome” extension, announced by Twitter user @World-Languages. 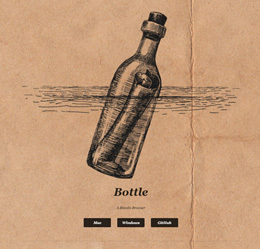 Bottle provides a major leap towards the “Metanet” world where the Bitcoin blockchain subsumes and powers the Internet, and where the information marketplace is transformed. BitPaste – the onchain text and file-sharing app – first emerged in January. But it’s now catching even more attention with improved functionality to make it easier for users to upload larger files (10MB) to the BSV blockchain. Users can store and share, plain text snippets on the BSV blockchain, with a swipe of a button. MAP is a system created by twitter users @wildsatchmo and @AttilaAros and has been touted as a simple OP_RETURN protocol for associating data in a single transaction. MAP is designed to be chained together with other OP_RETURN micro-protocols. A simple OP_RETURN protocol for associating data in a single transaction by defining key, value pairs. Provide data mapping without enforcing a content or identity scheme (allow other protocols to provide this). Some examples of how MAP can be used include attaching geolocation data to images, and attaching an avatar image, phone number and Twitter handle to user identity. This week’s Satoshi Shout-Out goes to Fivebucks. It recently announced integration with Cashport (the business API of HandCash), allowing simpler on-boarding and improved user experience for payment with BSV. 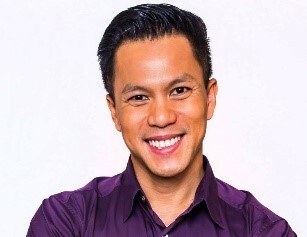 Fivebucks.com is a marketplace platform for services performed by its users for only $5 and has been instrumental in demonstrating real world application of BSV as cash. Cashport provides an API that makes it easy for any online business to easily add BSV payment capabilities, and Fivebucks is another company taking advantage of its ease of use. For demonstrating how companies in the BSV ecosystem can work together and integrate each other’s tool, Fivebucks deserves a Satoshi Shout-Out!